You shouldn’t buy any piece of equipment for your office on impulse without doing any research beforehand. This also applies to an inserting system. Keep these five specifications in mind when deciding which system to buy as you browse mail equipment sales. Carefully consider how fast you need your inserter to be. Units are rated based on how many pieces they can handle per hour. 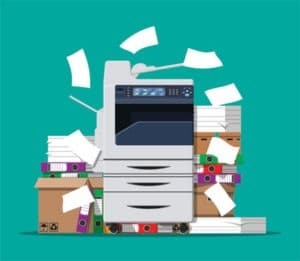 The actual speed will be about 30 percent less after taking factors such as paper reloads and application complexity. This is probably the most important thing to consider when making your final decision. Here are a few factors to think about. Whether you need a single sheet feeder or a double. A double might be necessary if you print two unrelated items that don’t need to be grouped together. Whether you need inserts, such as small advertisements or a return envelope, which tend to require a separate feeder. Some units have interchangeable feeders to give you more flexibility. Collating. You’ll want your feeder to collate documents if you have many pages from a single feeder. Improper collation could make it inconvenient and difficult for a customer to read. You’ll need to have a unit that fits in your office or workspace without being too large and cumbersome. Give yourself a few feet of clearance on each side for loading and unloading materials during use. A small unit can probably sit on a regular desk or table, but larger units might require a custom durable table to ensure it doesn’t sway while in operation. Utilize a table with adjustable height and casters to make it more convenient and simpler to use.